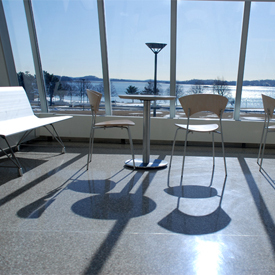 The UMass Boston PhD Program in Public Policy emphasizes solid grounding in political economy; a propriate attention to theory, applied principles, and technical skills; interdisciplinary study; multi-cultural approaches to public policy; and personal and intellectual growth of our students. Our commitment to social change is anchored in our applied policy curriculum which addresses inequities for undeserved groups and vulnerable populations. This photo is licensed under a Creative Commons Attribution-No Derivative Works 3.0 Unported License. Cite/attribute Resource. admin. (Jul 30, 2008). Public Policy. Retrieved Nov 06, 2014, from UMass Boston OpenCourseware Web site: http://ocw.umb.edu/public-policy.